Harnessing energy from waste enables companies to cut costs as well as carbon emissions, but there is potential for greater progress, as Tim Probert discovers. This article first appeared in the special report, ‘Managing Waste’, published in The Times on 5 March 2014. Every year the average person in the UK generates 500kg of waste. Of this, half usually ends up in landfill. Driven by the EU directives on waste, for which the UK must reduce landfilling to 35 per cent of biodegradable municipal waste on 1995 levels by 2020, Britain is making strides to turn waste into energy and wealth. Energy from waste (EfW) is not particularly new. Landfill gas has been used for decades and generates more than 5,000GWh a year of electricity from over 1GW of installed capacity. Similarly, the large, typically 250,000 tonnes a year waste-to-energy plants burning unsorted, municipal solid waste (MSW), popularly known as incinerators, generate around 2,300GWh a year from approximately 600MW of installed capacity. The landfill tax introduced in 1996, which saw councils charge a tax of £8 a tonne of material disposed in landfill, is perhaps the single most effective piece of legislation to incentivise efficient waste management practice. It has transformed the perception of waste to that of being a resource. A landfill tax escalator has seen the level steadily rise to £80 a tonne, with Chancellor George Osborne putting a floor under this figure until 2020. Moreover, almost all EfW projects are eligible for three main revenue streams. These are the gate fee paid for processing waste instead of paying the landfill tax; the sale of the produced electricity; and one of two incentive regimes – renewable obligation certificates and feed-in tariffs. 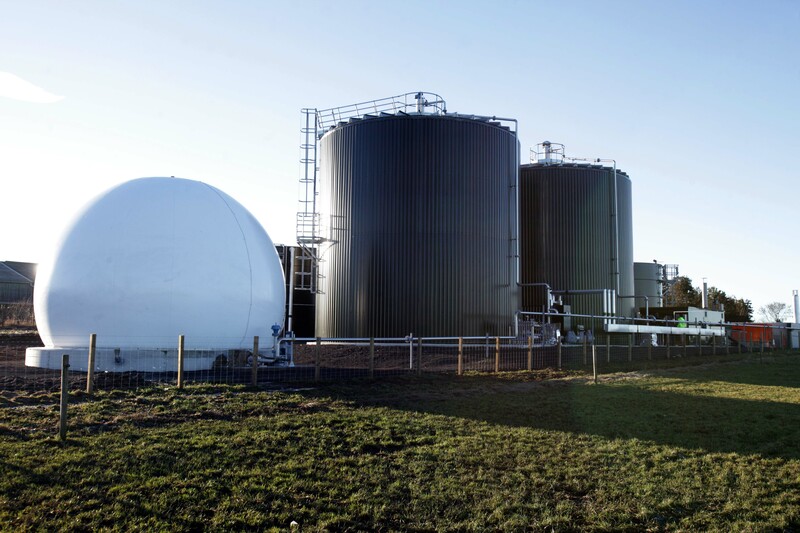 Although so far not widely deployed, the Renewable Heat Incentive offers an additional inducement primarily for CHP (combined heat and power) anaerobic digestion (AD) plants. Non-CHP incinerators do not qualify for support. Local opposition to thermal treatment technologies or incinerators can be fierce. Concerns are often raised about the health implications and the wider environmental impacts of burning waste. However, government and the industry argue the evidence shows the thermal treatment of waste is safe, while plants using cleaner technologies, such as advanced gasification and pyrolysis systems, which create synthetic gas and reduce air pollution, are increasingly common. But there are fears market saturation has created overcapacity and undersupply of energy feedstock, with some councils locked into punitive contracts to provide waste to incinerators instead of recycling. Indeed, fears about potential white elephants have forced the Department for Environment, Food & Rural Affairs to withdraw hundreds of millions in funding to build new incinerators. The trouble is nobody is quite sure how much waste there is available or will be in future. It is widely accepted that the waste datasets are not fit for purpose. Waste management consultancy Ricardo-ASA assumes that by 2020, there will be 53 million tonnes of MSW, C&I, and construction and demolition waste in need of treatment at thermal, organic and sorting facilities. On current capacity projections, however, this is 15 million tonnes more than both the operational facilities and known infrastructure likely to be delivered by 2020. The absence of reliable waste data is a major hindrance to investors; this applies to both the quantity of waste and the detailed information about its composition. The lack of sound data using a common methodology makes putting a business case together challenging and one of the core reasons for limited financing for new infrastructure. “What we’ve seen is a number of EfW projects that haven’t gone forward, not because they haven’t got the land or planning permission, but because they didn’t adequately structure the project in a way which meant it was investable,” says Mr Aitchison. To this end, the role of the Green Investment Bank (GIB) as a cornerstone investor is increasingly important, particularly for larger EfW projects. Foresight Group recently forged a consortium with the GIB to construct a £47.8-million 10.3MW recovered wood gasification project in Birmingham. The GIB also invested £20 million in a 49MW waste-to-energy plant on Teesside in a consortium of SITA UK, Sembcorp Utilities UK and Japan’s Itochu. Mr Aitchison sees AD as a significant area for growth. This uses natural bacteria, which breaks down waste to produce biogas for power and heat generation, and slurry which can be used for fertiliser. AD accounts for more than 500GWh a year of electricity generation from 122MW of installed capacity, a tenfold increase in only five years. There are two main segments of AD – source-generated food waste (SSFW) and on-farm AD. SSFW units tend to be the larger of the two, typically 1 to 1.5MW with approximately 30,000 tonnes a year capacity. On-farm AD typically comprises sub-500kW units. The planning process for AD is considerably less controversial than larger waste management incinerators because they are smaller, less intrusive facilities and are usually designed to manage locally sourced waste. Mr Aitchison has an eye on a possible move to ban food to landfill, as proposed by the Labour Party should they be successful at the 2015 general election, as giving a big boost to the AD sector. There are some caveats. The UK as a whole is poor at collecting waste material, with more than 100 different ways used to collect waste, be it bag, box or bin. Indeed, most local authorities do not collect food waste separately. Furthermore, the Department of Energy & Climate Change (DECC) last month confirmed feed-in tariffs for AD would be cut by 20 per cent, which the Renewable Energy Association fears will make some sub-500kW projects uneconomic. If the Labour Party gets in in 2015 and keeps its pledge to ban food waste from landfill, however, AD is likely to be back in vogue. Posted in Policy & RegulationBookmark the permalink.